Last Time Out: Xavier edged Butler 70-69; Villanova beat Creighton 90-78. Xavier has picked itself up in its past two games by taking advantage of a home swing against Butler and Georgetown, neither of which are among the Big East’s best. When they have had to play against likely NCAA tournament teams in Seton Hall and Marquette, it hasn’t gone well, as the Musketeers lost both games by double digits. To avoid a third rout against a Big East rival, Xavier has to shoot better than the 39.3 percent it shot against Butler, which nearly allowed the Bulldogs to steal a victory. The reality is that Xavier needs to shoot well to give itself a chance most nights, as the Musketeers neither defend well enough nor rebound well enough to survive a bad night on offense. What team is Villanova at this point: the one that got shredded by Michigan and lost at Penn, or the team that has won five in a row and sits atop the Big East? The truth probably lies somewhere in the middle, but the one thing that is clear about Jay Wright’s men is that Villanova is going to go as far as Eric Paschall and Phil Booth can carry it. The duo combined for more than 50 points in a win over St. John’s, but they don’t often get a lot of help from their teammates on the offensive end. Stop one and you can usually stop the Wildcats. Wells Fargo Center. Villanova is one of the few teams in college basketball that has two home arenas, a setup it continues in order to allow it to play in Philadelphia when the City of Brotherly Love is an NCAA tournament host site. Traditionally, the Wildcats play at least one big game before Big East play at the 76ers’ arena before moving there full-time during the conference season, but with Finneran Pavilion opening after a renovation this year, the Wildcats played all of their non-conference games on campus. So this marks the first time this year that Villanova will play at Wells Fargo Center, creating a situation where neither side has played in the building, which could neutralize the Wildcats’ home court advantage. The Musketeers can make someone else beat them. Villanova’s lack of a third weapon makes beating it a simple, straightforward task — if you have the necessary personnel to pull it off. Paschall and Booth are both matchup nightmares for opposing defenses: quick, quality shooters with the confidence to take the open look whenever it comes. 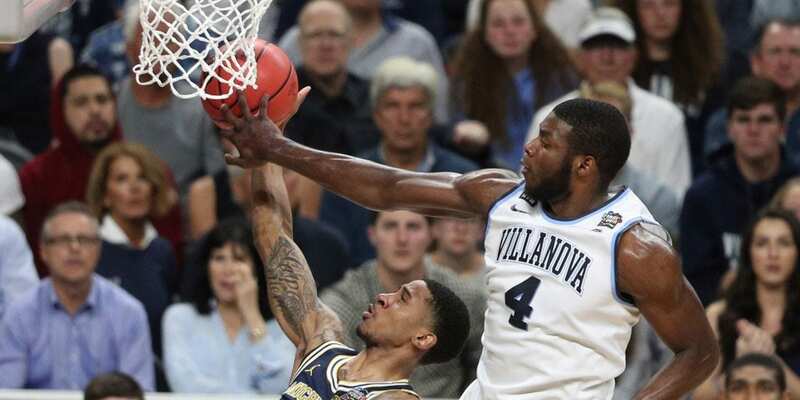 However, when things go wrong for one or both of them, as happened in Villanova’s blowout loss to Michigan, the Wildcats can be easily beaten. The task for Xavier is to deny at least one of them good looks at the basket and force someone else to step up for Villanova. The Wildcats can exploit mismatches at the offensive end of the court. Villanova has played some tough games in Big East play, but its one comfortable victory came at Creighton, which is looking like it’s going to finish at the bottom of the league this season. What do the Bluejays have to do with this matchup? They’re the only group in the Big East that plays worse defense than Xavier, which has had trouble stopping talented opponents this year. Despite its own struggles, Villanova is certainly talented on offense and has the ability to find and take advantage of the holes in Xavier’s weak defense. I really don’t like taking big spreads involving teams with a lack of depth, especially one that’s as dependent on one or two players as Villanova is. But in this game, I really don’t think I have much of a choice. Xavier’s just not in the upper echelon of the Big East, and the Musketeers haven’t looked good in their two games against the top half of the league. By record, Georgetown is the best win on Xavier’s Big East schedule, and when this Hoyas team is the best team you’ve beaten, you either haven’t played anyone good yet or you’ve lost to all of your good opponents. It’s the latter in Xavier’s case. Seton Hall had no trouble with the Musketeers in Cincinnati and Marquette blew out Xavier at home. Villanova’s already beaten the likes of St. John’s and picked up a win at Providence, both of which should be in the NCAA conversation. There’s just not enough here to trust the Musketeers with a bet. Taking Villanova is a risk because one extended absence from either Paschall or Booth will open the door for Xavier, but I’ll have to risk that both players are smart enough to avoid foul trouble. I’ll take the Wildcats to keep putting distance between themselves and the rest of the Big East with a comfortable home victory.